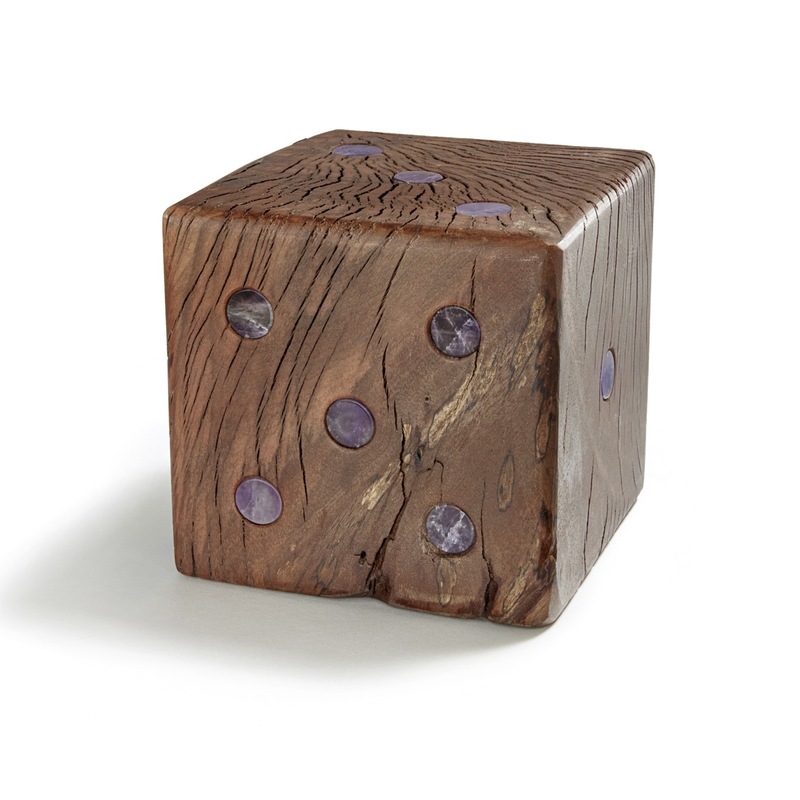 Stylish decor for a high roller. 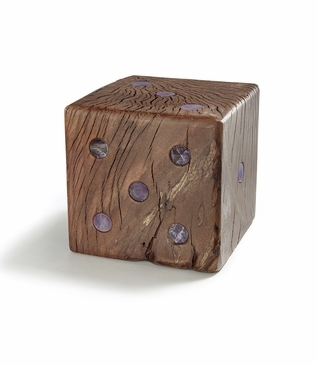 Try your luck with this die carved of burl wood with gorgeous amethyst details. Perfect on its own or paired with another as whimsical bookends.